We're piloting our curriculum in 60+ California school districts, reaching 10,000 students. Our lessons move away from traditional textbook teaching to a hands-on model based on direct engagement, teamwork and problem solving. We believe all students should have a chance to do science and engineering, not just read about it or watch it on a screen. Our first paying school district loved our curriculum so much that they renewed for a 2-year contract after using it for only half a year. 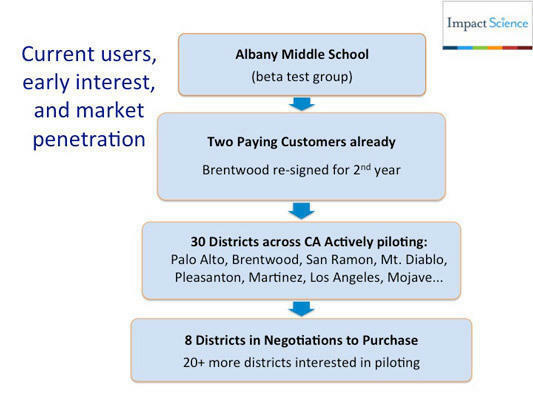 1 Piloting in 60+ California school districts and reaching approximately 10,000 students. 2 Raised $415,000 so far. 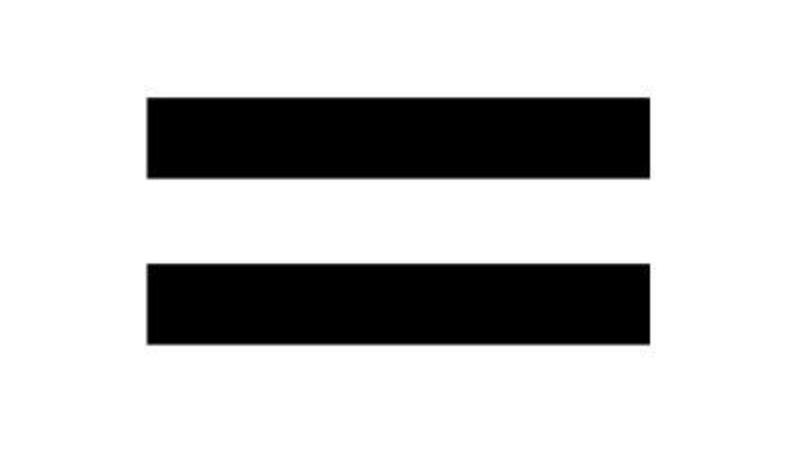 3 Our first paying customer, a mid-sized school district, renewed their Impact Science Education contract for an additional two years after using it for a partial year. 4 On track to be on the California State Approved curriculum list. 13 years HS teacher, 11 years sales. 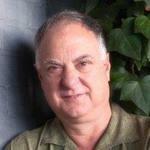 BA History- UCB, teaching credential-Masters of Ed- Stanford. B.A in English from St. Mary's. Former elementary and middle school science teacher. As an Oakland businessman, I am always looking for a good investment that also makes a contribution to society. 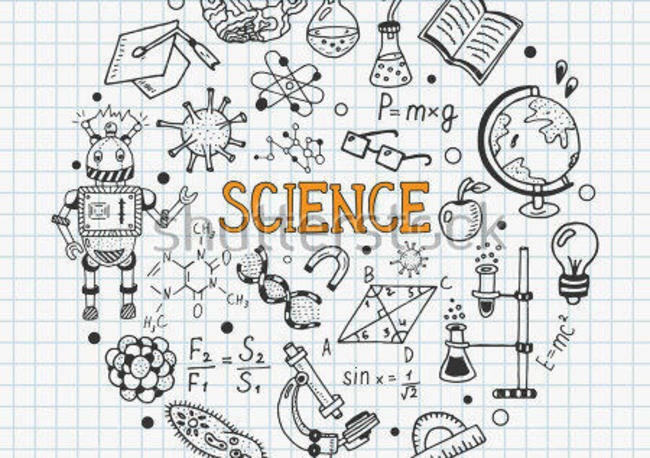 It appeared in our discussions that Impact Science was providing a new science curriculum that would make the study of science more attractive to students. I am pleased to be an Impact Science investor, helping to educate more people in the sciences where the United States lags behind much of the developed world. 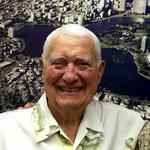 "I liked that each lesson had an opener and worksheet to go with it. I also like how one lesson is tied nicely to the next lesson---the sequencing is genius! 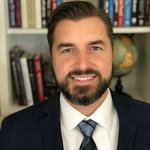 The lessons were well focused on the new science standards and provided great discussion questions for my students to have deeper conversations about the material." In my 10 years working with Ladie Malek, I've learned that she has deep insight into the nature of excellent science education, and the skills and persistence to move excellent ideas from vision to reality. This company is developing a more efficient and scalable way to teach science to more school kids. The founders are committed and capable and have the skill sets and experience to succeed. Having examined the product, I am impressed by its usability. The need for schools to have cost-effective and turn-key teachable science curriculum is huge. 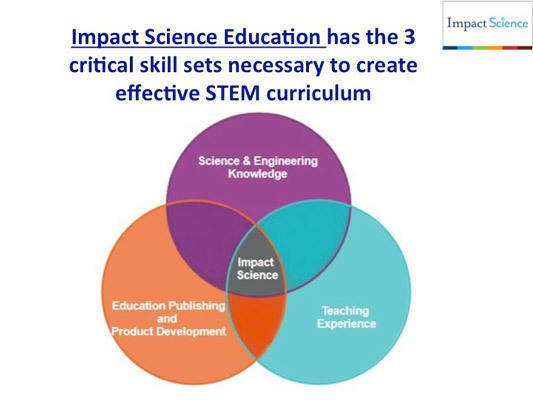 I see all the basic elements in place for Impact Science Education to do well. I am proud to be a part it. President and Co-Founder, Give Something Back Workplace Solutions. Mom, Immigrant, Pomona alumn, Watson Fellow, Faith & Science Matter. 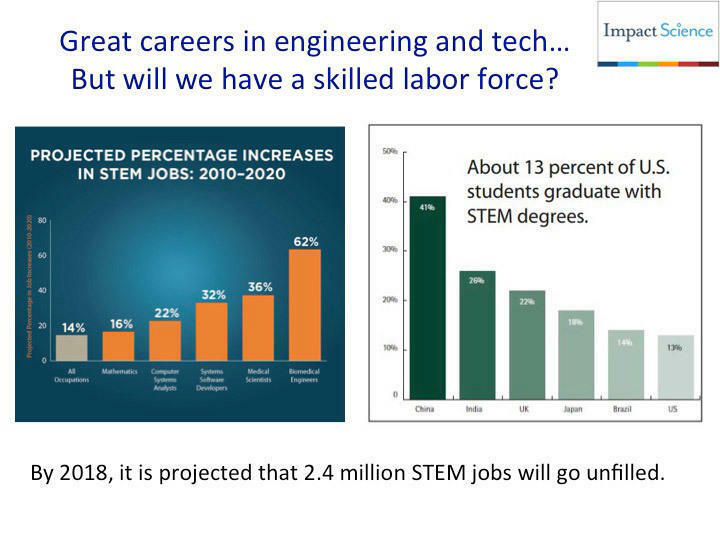 Science, technology, engineering, and math (STEM) education is a critical component of K-12 education. We're focusing on middle school because for a lot of students, it's the first time they have a science class with a science-focused teacher. By the time students get to high school and pick their classes, they're setting their course for their future. If we can set students up in middle school to be excited about science and engineering, and empower them to feel they are creative, intelligent individuals who are capable of going into any field, then they will have access to more opportunities going forward. Being teachers ourselves with over 40 years of combined experience, we know what works in a classroom and what doesn't. No more "read this chapter and take the quiz at the end" — our lessons are hands-on and creative, which allows students to critically engage with the material rather than forgetting it soon after they read it. The ISE team gathered for the CA Science Teachers Association conference. Doug at our conference booth. Spin the wheel! Teachers at the conference building as part of a sample lesson. Student work built as part of a lesson on Newton's Laws of Motion. More than half of all middle school science teachers in California are new or teaching outside their content area. We provide background information, teacher guides, and discussion prompts to facilitate their teaching. Since our lessons do not require each student to have a personal laptop or tablet, all districts regardless of wealth can use our curriculum. Our lessons are $9 per student for a one-year license, or $64 per student for an standard eight-year license. A single textbook costs on average $90-$100 for 8 year cycle. We incorporated this pedagogy into the design of our lessons. Each lesson gets middle schoolers to create and build to better understand and retain scientific knowledge. Join us in our mission to re-awaken in students the natural curiosity and ingenuity that they were born with. Children are fascinated with how things work, but that excitement is often lost or dampened by the time they reach high school. We want to change that with a new kind of middle school science program. Science and engineering are fun! Science class should be a place where students can invent, create, design and discover together, just as they do in science camps. We want to bring this kind of excitement and learning into every middle school science classroom so we can broaden opportunities for all of our students. We are two women — a longtime middle school science teacher/coach and a former teacher/engineer with 17 years in the educational publishing industry — and we're passionate about students' learning and having equitable access to good careers. 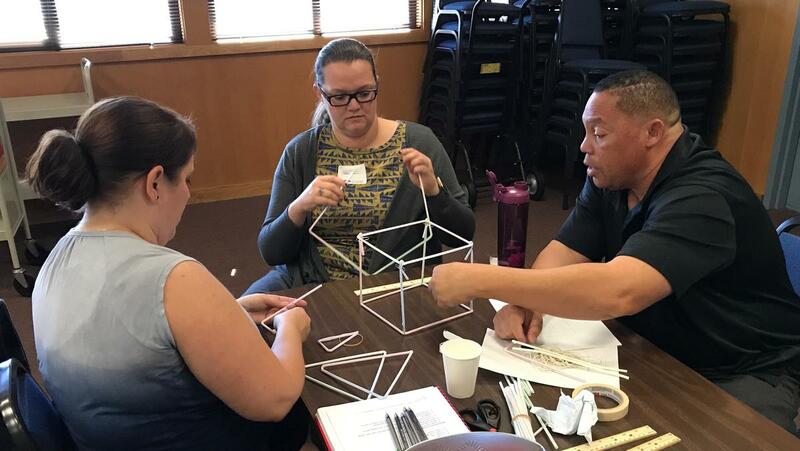 In partnership with you, our goal is to finish developing and then distribute a program that will give teachers the kinds of instructions they need to teach science, including engineering design and innovation, in a new way. With the proper instructions, teachers can get all of their middle school students excited about science and engineering, teamwork, and innovation so students can be confident and successful no matter what field they go into. We have a unique opportunity to effect great change. Across the country, a paradigm shift is taking place in thinking about how science and engineering should be taught. Critical thinking, collaboration, and problem-solving skills will be the 21st-century tools of our children’s success. Join us in our mission to engage all students in the wonders of the world around them and provide them with the learning skills and tools they will need to succeed in the information age. We've already raised $415,000 (32% of our goal) from previous investment rounds. This fundraise will help fund the rest of our curriculum development, ramp up marketing and sales, and the submission process to California for curriculum approval We expect to be profitable in 12 months. Our target markets are small- to mid-sized school districts. There are 977 potential school districts in California and over 1.7 million middle school students. We aim to achieve a minimum of 5% market share–which is what our Co-Founder Ladie Malek has achieved on all of her previous curriculum projects. We predict our expenses will significantly decrease after we complete curriculum development. Revenues may not materialize as planned, but this is how we see the next few years playing out. *2019 data assumes 5% market share of 2 million middle school age students in California and the rest of the West Coast, at $64/student for an eight-year license. 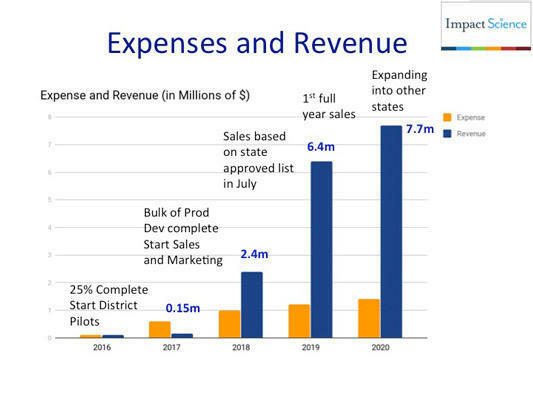 **2020 data assumes expansion to other states and gaining more market share after our first full year in California. We aim to bring high-quality learning to all science classrooms every day, to unlock every student’s potential and curiosity, and help teachers prepare students for college and careers. 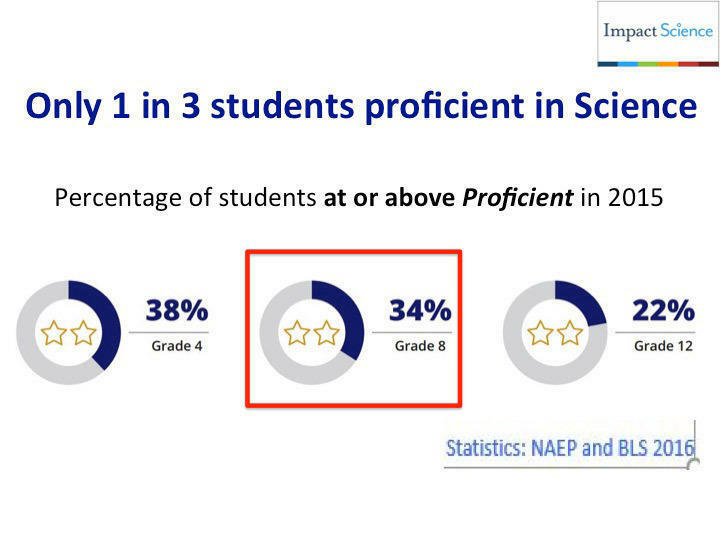 Right now, only 1 in 3 eighth grade students tests proficient in science. 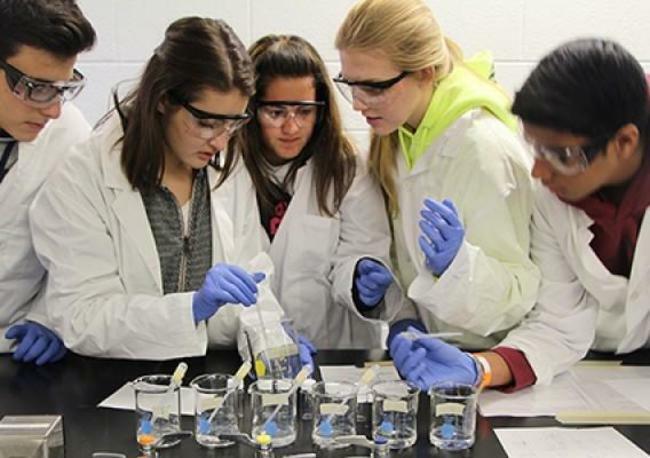 Our goal is for all students to achieve or exceed proficiency with our hands-on science teaching approach. We've launched in California but plan to be in 18 more states by 2019 and an established curriculum option in all 50 states by 2022. What does Impact Science Education do? We are changing the way science is taught in middle schools. Science class should be engaging and exciting. Students should have a chance to do science and engineering, not just read about it. 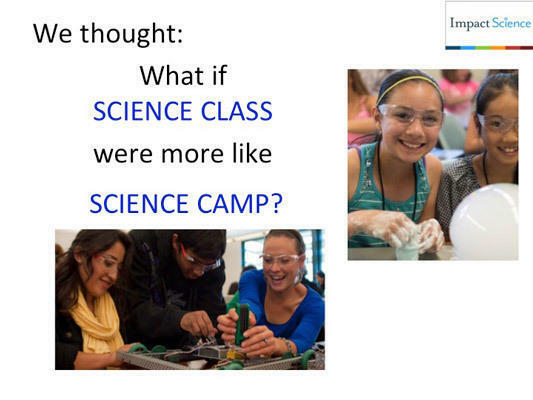 We want to re-awaken in students the natural curiosity that they were born with, by making science class more like science camp. Impact Science Education is a new kind of educational publishing company that puts the focus on teachers and students and the classroom learning experience. Large textbook companies are not serving the needs of our students and teachers. Apps and online courses are not entirely solving the problem either – students already get too much screen time. Our solution is to engage students in teamwork, problem-solving, tinkering, and inventing in order to maximize every student's learning potential. The way we do this is to provide complete instructions, or lesson plans, for teachers so they can create these kinds of learning experiences for students every day. We're focusing on middle school because for a lot of students, it’s the first time they have a science class with a science teacher. They are also developing their sense of self. By the time they get to high school and pick their classes, they're setting their course for their future. If we can empower and excite them about academics and their own ability to create and innovate, then they're more likely to take more challenging courses in high school and be more successful in life. Can you take us back to the beginning? How did you get started? 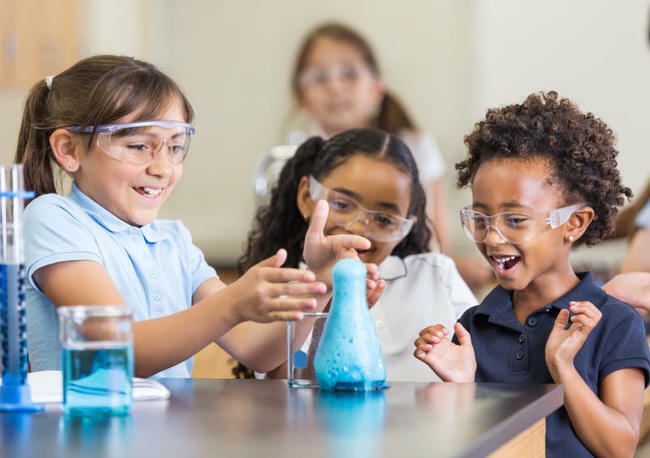 When the new science standards were adopted by California and a consortium of other states, we recognized a paradigm shift in the way science would be taught across the country. We saw a great opportunity and new awareness about effective ways to teach science, but no available teaching tools that allowed teachers to teach in this new way. We could envision what was needed, but didn’t see anyone else creating it. 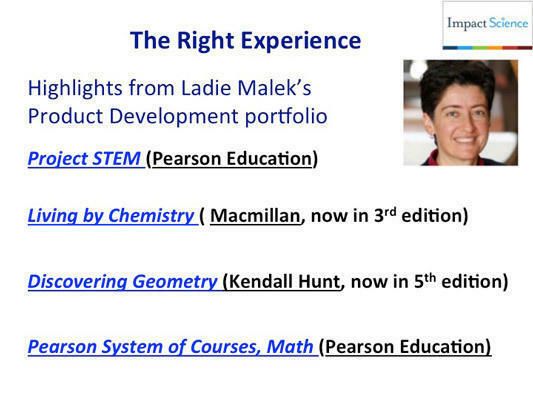 Ladie Malek has an engineering degree and taught math and science at the middle school and high school level for 8 years, then spent 15 years in textbook publishing, developing textbooks and online courses for Pearson and a number of other publishers. Robin Cooper has 23 years in the classroom, teaching middle school science, and has mentored over a dozen new teachers. Together we started writing a new science program for Robin and other teachers at her school. 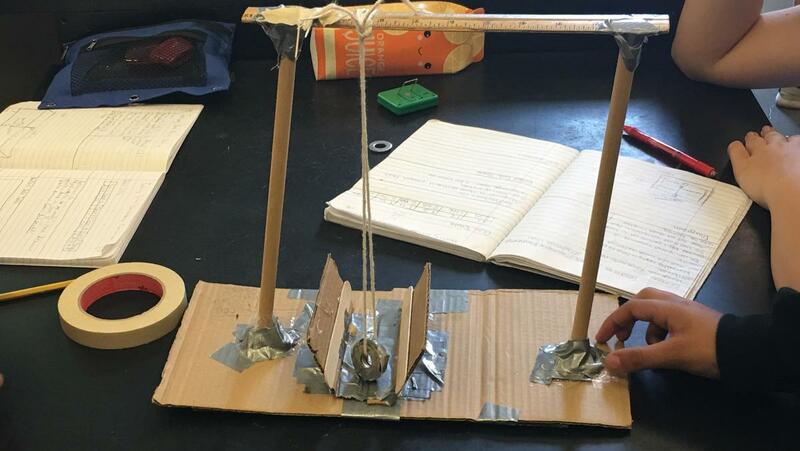 The teachers at Robin’s school tried out these early units, and the response was overwhelmingly positive -- both teachers and students loved the hands-on, lab-based units and engineering design projects, and were asking for more. We pooled our savings and incorporated the company in September 2015. 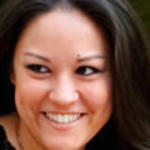 Ladie works on product development and runs the business full time as CEO. 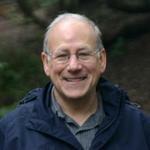 Robin still teaches full time, helps with lesson writing, tests the curriculum, and acts as our Chief Academic Officer. How have you grown so far? We wrote most of our 6th grade program ourselves, on our own time and our own dime. Since our first round of fundraising, we’ve been able to hire some teachers on a contract basis to develop lessons with us. We now have a full-time sales director and outreach coordinator who sign up school districts to pilot our curricula and gather our first round of customers. We are poised to finish writing all the lesson plans by December 2017. Next we will prepare to submit our material to the state of California for review and adoption. California is the largest state that has adopted the new standards, and we have teachers at over 60 school districts sampling the lessons we have available so far. 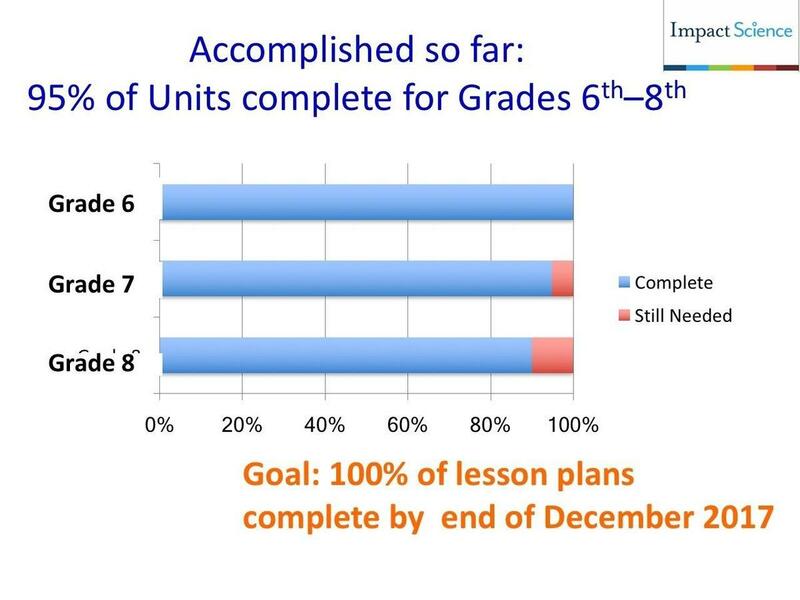 Of the teachers who have finished using their free set of sample lessons, 94% report that they would “definitely use again or recommend to other teachers” so we are optimistic that we will start to convert some customers as we complete the product. Many states are waiting to see what happens in California, and other states have already moved in the same direction. Over 50% of US students now live in states that have adopted Next Generation Science Standards, and the number continues to grow. Though they’re not technically our customers, the main beneficiaries of our product are students and teachers. Our end user is the classroom teacher in public and private middle schools. Students can learn effectively and be engaged, while their teachers can be supported with complete and well-written material. School districts buy our material to support their teachers and students, so we actually sell to district administrators and those are our customers. Our approach is to generate enthusiasm and interest at the teacher level, and work simultaneously with district administrators to communicate how this will benefit their science program, as they make the final decision and authorize the purchase. Teachers want to ensure good outcomes in the classroom and maximize their limited preparation time. Administrators want happy teachers, but they also want affordability and good test scores. We've found that starting the groundswell at the teacher level helps us in conversations with administrators. How are Impact Science Education’s lessons different from the science education today’s adults experienced, or from the app- and software-based lessons popular today? The textbook centered curricula we grew up with is now less effective. The information in a textbook can easily be searched on a tablet or phone. 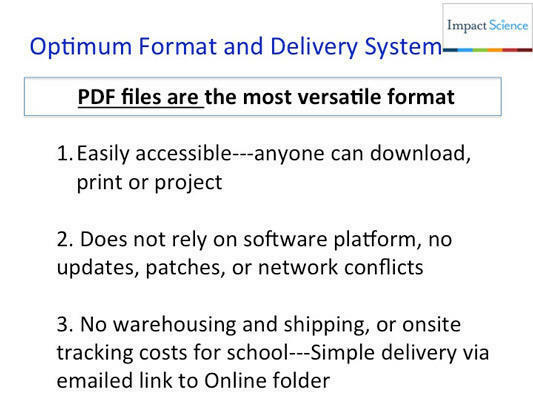 Plus, textbooks are quickly outdated, expensive to buy, and have all kinds of hidden on-site costs, like shipping, storage, distribution, tracking and replacement. Some companies have tried to develop software to make science more exciting, but students already get too much screen time. Plus, technology-based curricula are often expensive. 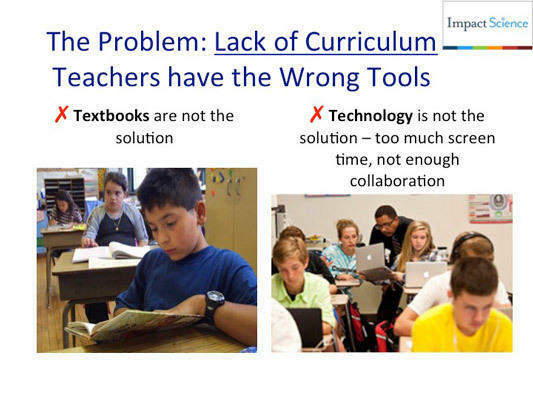 Learning technology has its place, but most districts cannot afford one device per student every day, and software based products can create network conflicts, server glitches, and teacher frustration. 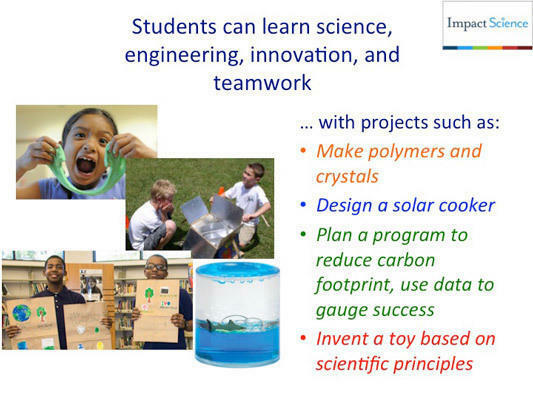 What students really need are more chances to investigate, invent, tinker, experiment, engineer, and work together. That is what our program is built around. The product itself is a complete set of lesson plans for the entire school year, carefully designed and sequenced to cover all the science content that needs to be taught at that grade level. Each lesson plan spells out what teachers are going to teach that day, what they will need, how to set it up, what questions to ask, and so forth. We also have a strong engineering design component to our lessons. Ladie’s background in engineering makes it possible to show teachers how to give students opportunities to tinker, innovate and invent new solutions to problems. We deliver our lessons in PDF so they’re easily accessible to all teachers and all schools. They can be viewed on-screen or printed out. We don’t require teachers to learn new software or navigate a content management system. Not needing to build or maintain a content management system also keeps our costs low. Amplify is our main competitor. They have a slick and pretty comprehensive curriculum that satisfies fans of educational technology. The science is good, and the curriculum is entertaining and contains a good reading component. However, they’re completely web-based and rely on each student having a computer or tablet every day in class. Their licenses are several times the cost of ours, and prohibitively expensive for most school districts. Upfront cost along with dependence on technology limits the accessibility of their product to wealthier districts. It also cuts down on collaboration in class, which is a key requirement for states like California. STEMscopes, based in Texas, is another competitor. They have some good daily lesson material, but many teachers we’ve spoken to feel that it’s not comprehensive enough and does not build strong conceptual understanding. TCI is well known in social studies and they’ve recently branched out into science. They provide kits for their units, which we do not, but they are behind in development and don’t seem to be comprehensive enough to be a serious threat. They are also still textbook based. Finally, there are the traditional educational publishing companies which are still focused on textbooks and textbook-style content. They’re resisting the move to an inquiry and lab-based curriculum. However, many teachers (and the new science standards) and are moving away from textbooks in the classroom except as reference books. 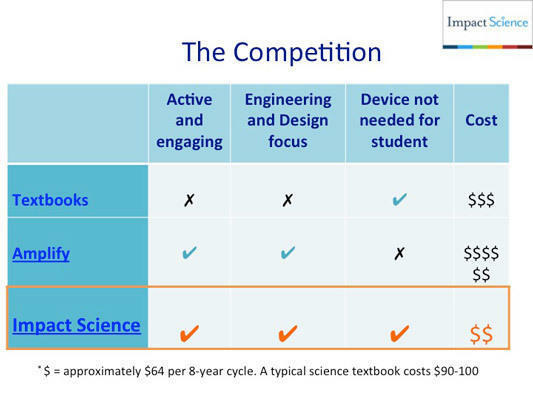 What differentiates Impact Science Education from its competitors? Successful veteran teachers know what works in a real classroom with real students. 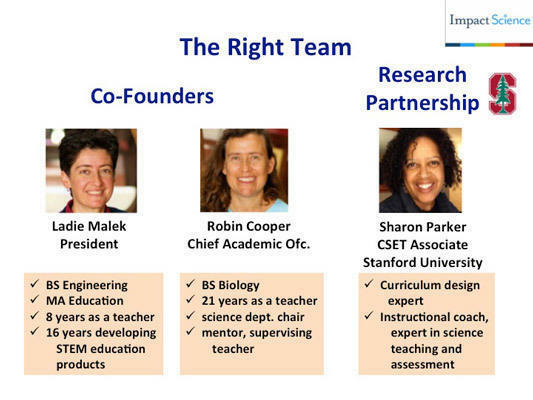 Our development team, starting with our founders, consists of experienced successful science educators. 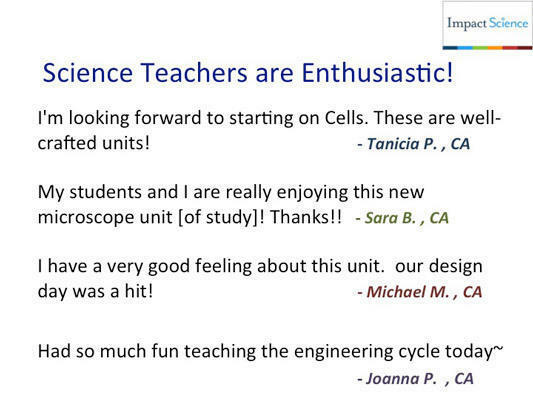 We know that over half of all middle school science teachers in California are either new or teaching outside their content area, so having a program like ours can make an enormous difference in the level of science that they are able to teach. Having worked with both new and veteran teachers, including those who were not science majors, we know that the material must be logical and step-by-step. We provide teachers with background information, teacher guides and discussion prompts to facilitate their teaching and help them engage their students. It also helps to have a former engineer on our team — Ladie Malek — who can make sure we are teaching engineering design thinking alongside science, as the new science standards require. Our product is high quality and affordable. We are small, agile and extremely focused on our customers. This is in-depth, rigorous curriculum that doesn’t break the bank. Why does your approach work well in science? So much of science is about doing. Reading about science in a textbook, or even online, only gets you so far. You have to interact with it and have a chance to exercise your curiosity to learn. Traditionally, we've given the teacher the textbook and said, “Here's the information that you need to get into kids' heads.” Then their job is to figure out how to get it into kids' heads. The content of those textbooks is now easily accessible to anyone online. But the challenge is how to make it interesting, and how to create learning experiences so that kids can actually learn the material and understand why it's so cool and amazing. That's not trivial. We've always relied on teachers to do that. If we can give teachers lesson plans that focus on creating those experiences, that saves them a lot of time and maximizes their impact. Science is the most challenging subject to teach. Science teachers have to manage lab materials and lab safety, and they need content knowledge that is broad and deep. 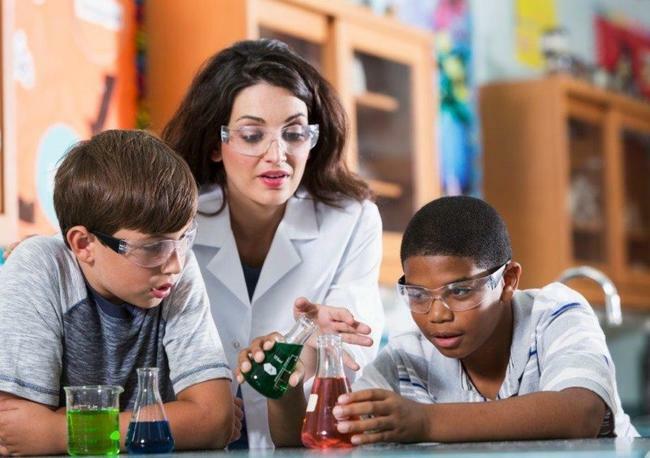 There is a critical shortage of science teachers, exacerbated by the requirement to invent new ways to teach science without the appropriate tools. Teachers have been thanking us for developing this product, because it helps them be effective, saves valuable planning time, and helps avoid burnout. How do you determine whether your curriculum is improving educational outcomes? 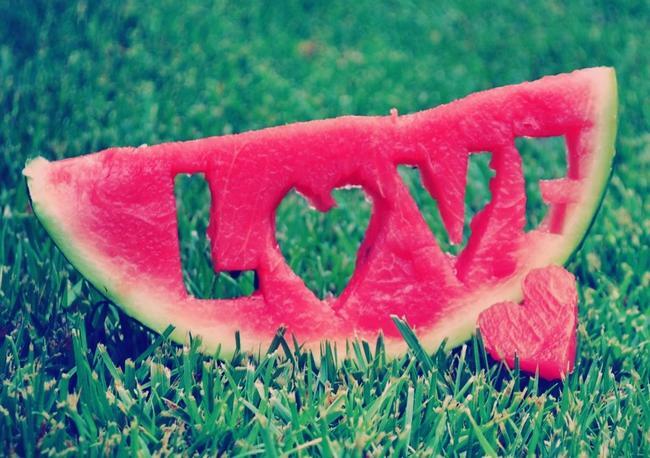 There’s a subjective measure and an objective measure. The subjective is how satisfied the teachers are in covering the content, and how usable and approachable the material is for them. Do they find that they can use it easily? Does it result in student engagement and learning? Our teacher testimonials attest that we have been successful in this regard. We poll teachers who sample our lessons, and 94% so far have said they would “definitely” use the lessons again or recommend them to a colleague. Then from the objective side, California is piloting a new standardized test this year. The following year, it will be a relatively high-stakes test. That would be the objective measure. 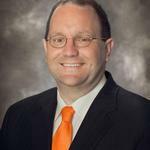 We are confident that schools using our program will see higher test scores. As we raised money over the last 10 months, our staff has grown from our two founders to two full-time staffers and five part-time contractors. Ideally, in the next six months we would add five staff members — one more developer and one more assistant to help us polish the lessons and submit to the state of California for the science adoption in March. We would then like to add at least three staff members to help ramp up our sales and marketing team — and if we raise more we can build an even more robust sales and marketing team. How do you acquire customers and how much does it cost? 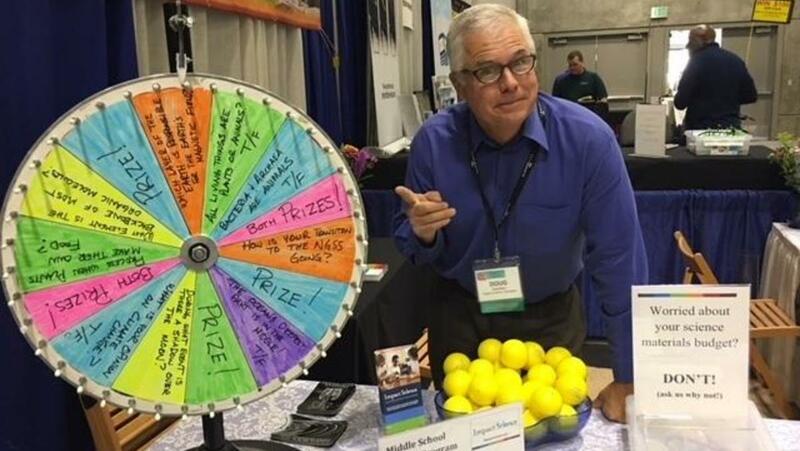 We attend conferences, advertise in science educator magazines and newsletters, use personal connections, and make cold calls. We use pilots to get teachers involved and they advocate for us with their districts. We then approach administrators and discuss their needs and timetables. We also direct people to our website, where they can read about our philosophy and download a few sample lessons. We find this to be an effective way to pique their interest, and it requires no work from us. 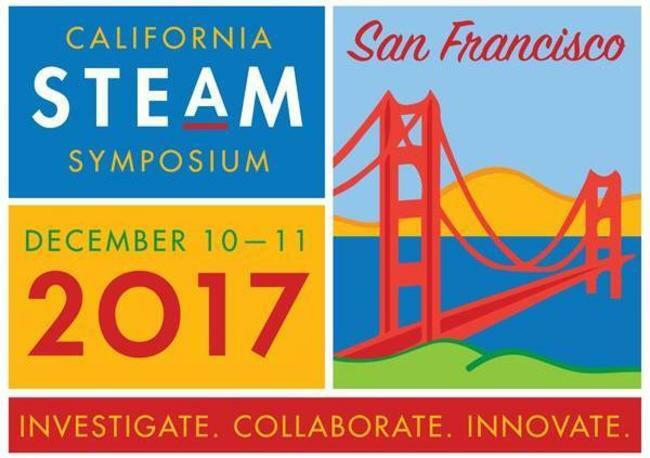 For the 2017 California Science Teachers Association Conference, our cost of lead acquisition was about $20 per lead. Our cost of acquisition per paying customer is hard to determine since we are at the early stages of the sales pipeline and are still finishing the product. However this cost should be considerably lower than traditional publishers who have much higher external costs like shipping, sampling, printing/manufacturing, and warehousing. The lifetime value of our customers is based on increments of eight years. 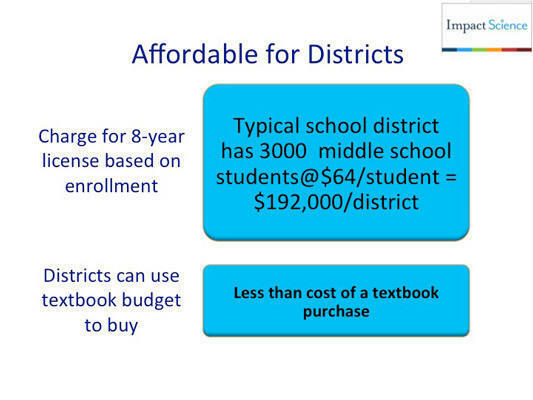 A mid-sized district would have approximately 3,000 middle school students, so $192,000 per district per eight-year segment. In the short term, we are offering one-year licenses and may start to see some small sales as district complete their free trials. We project our main customers will be small and mid-sized districts, where the decision tree is easier to navigate. However, if we’re able to get some larger districts, we’ll leverage that to acquire others. We also offer an almost instantaneous transition to the new science and engineering standards, so we’re reaching out to districts as they all are searching for a quick and affordable solution. Through conferences, connections and cold calls. We use pilots to get teachers involved and they advocate for us at the district level or on-site at their school. We then approach the administrator and discuss their needs and timetables. How do you convince districts with limited budgets that your product is valuable? School districts are chronically underfunded, but they do have money set aside for textbooks and instructional materials. Our product falls into this category. 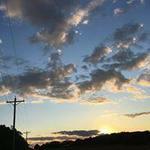 Districts protect these accounts until they see the material that best suits their needs and those of their teachers. Many districts have told us that they haven’t spent instructional materials money the past few years because they haven’t found anything suitable that meets the new standards. They’ve decided to wait until the state releases its list of adopted materials next year. In the meantime, teachers are saying, "Yes, but now I’m expected to teach science in this new way. How do I do that? Where is the program I’m supposed to use?" Administrators in California are hesitant to buy new textbooks now, in advance of next year’s adoption. So when they find out that they can get a one-year license or a two-year license from us and wait to make the eight-year decision until after the state adoption, they're interested. We have 60+ school districts trying our curriculum right now, and we’re starting to have those conversations with administrators, pushing them to get a one- or two-year license until they make that final decision. Our market is the entire US.. middle school science market, where over 50% of students reside in states that have adopted Next Generation Science Standards. Many other states, such as New York and Massachusetts, have adopted similar standards. 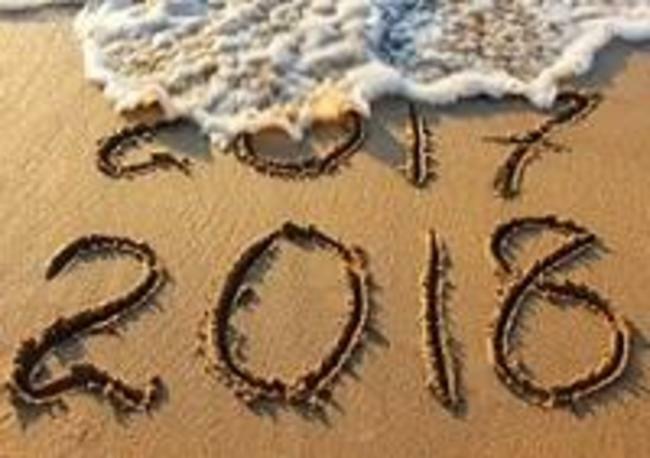 We are starting with the West Coast as California is a trend setter and is about to have a science adoption in Spring 2018. There are over 2 million middle school students on the West coast. We are launching in California which has 1.7 million of the total. In California, there are 977 school districts and over 1,300 middles schools (see source here). Our plan is to establish a minimum of 5% market share which would be approximately 49 school districts or 55,000 students (averages out to approximately 1,122 students per district which is a great district size for us and potentially and easier sale). A conservative 5% of the west-coast market means $6.4 million in revenue (5% is on the low end for the products Ladie Malek has developed in the past). We also have identified 18 other states that have adopted the same science standards and those will be our next targets. There are 13 million middle school students nationwide which represent a potential revenue of $41.6 million at our minimum 5% market share projection. We need to finish developing our 6th through 8th grade curriculum and submit it to the state in March 2018. The first $50,000 will enable us to hire one more developer and one more assistant to polish the product over the next few months and make a successful submission to the state science adoption, which is a stringent process. We will apply the rest of the funds to increase sales and marketing staff by at least three people, build a stronger sales and marketing presence through more advertising and a bigger conference presence, and conduct more teacher trainings and seminars. What’s your timeline for development? Our big push right now is to put the finishing touches on our product and submit it to the state of California in Spring 2018 and get on that adoption list. If we succeed, that will be the best possible way to get our name out there and show that we have the state’s stamp of approval. That state-approved list will be formally issued in November 2018. Until then, we’re offering districts one-year licenses, since most are waiting to make big expenditures until after that list is published. Assuming we’re recommended by California’s adoption approval board, we expect to start making long-term sales at that time. We’ll also start developing curricula for markets in other states. We have identified 18 additional states that have adopted the same science standards as California, and those will be our next targets. There are a few lessons that relate to regional climate or regional geography, and we will modify those for different regions so that they're more relevant to students' lives. How will you ensure adoption by California’s Board of Education? California’s requirements are very stringent, but we're confident that we have the best team for the task. The state has set out a very clear pathway towards approval, and it's a very long list of requirements — there are five categories, with hundreds of requirements just in Category 1, every single one of which must be met. The state is going about it in a smart and transparent way. For the first time, we may be in a better position to make the California adopted list than any of the major textbook companies. 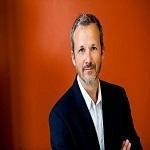 At least one of the major publishers will not be submitting a program at all, and the other two still have traditional programs that might not pass muster. We have been studying the new standards since they were published in 2013, and we are being very thorough. 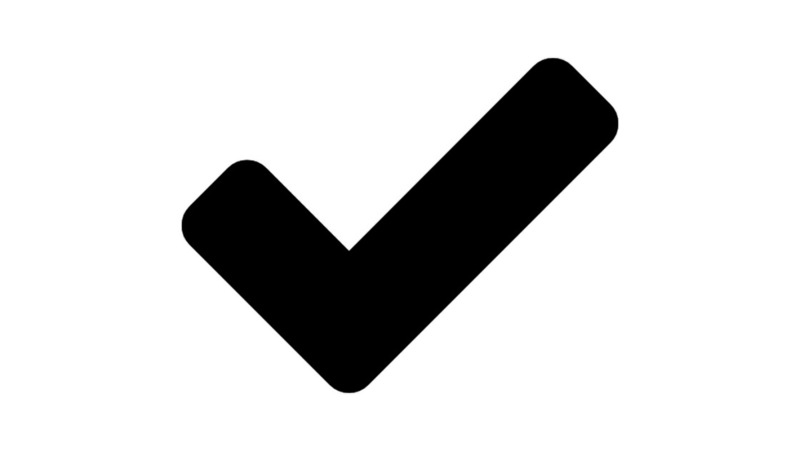 It’s daunting, but as long as we're careful to check all the boxes, we have every confidence that we’ll be approved. The first is brand recognition. We’re small, but we’re starting to see some success, since we’ve been to two conferences and have more than 300 contacts. The second is raising money. We are small, so we need to keep our focus on product development and developing our customer base. Fundraising has been time-consuming drawing resources away from product development and sales. If we don’t get the product done in time, we can’t submit for California State adoption. Even if we do finish on time, there is always an outside chance we may not be approved. Almost all our energy is focused on that right now. Publishing is a very lucrative industry, and large publishers bring in billions of dollars in revenue every year. We are a smaller publisher with a more targeted market, but even so we are forecasting modest income from one-year licenses in 2018, then $6.4 million in annual revenue once we start selling eight-year licenses in California in 2019. 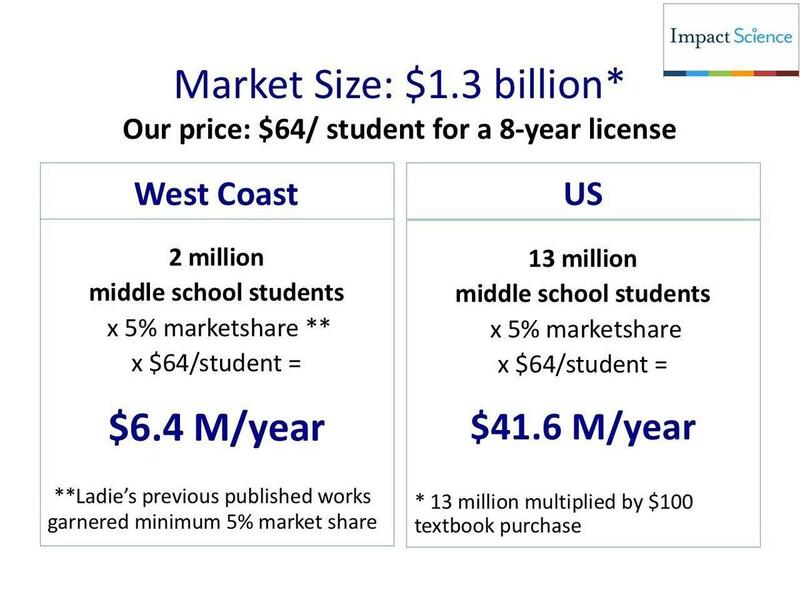 This assumes 5% market share of 2 million middle school age students on the West Coast, at $64/student for an eight-year license. We will grow from there as we gain more market share and also expand into other states. We have only common stock, and are offering SAFE notes which will convert to equity if there is a qualifying event -- including when we start making a profit and paying dividends on any common stock. 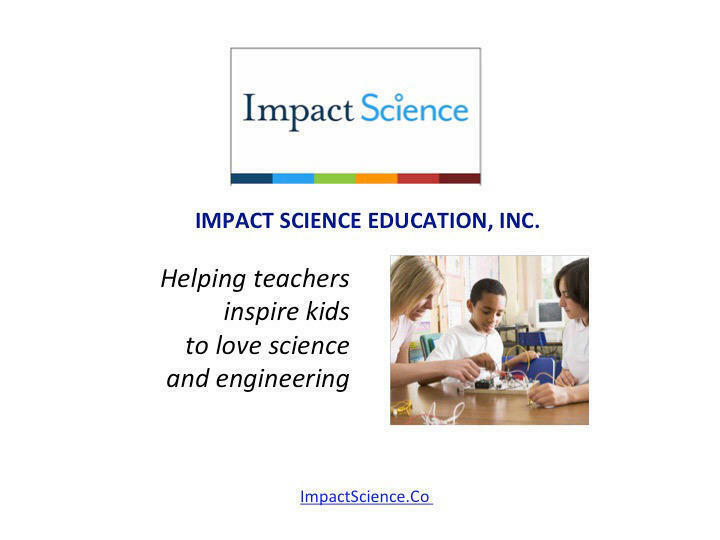 Impact Science Education has financial statements ending March 15 2019. Our cash in hand is $185,384.74, as of April 2019. Over the three months prior, revenues averaged $85,000/month, cost of goods sold has averaged $0/month, and operational expenses have averaged $60,000/month. In 2018 we completed the first round of product development, creating two middle school programs for California (to reflect two different ways that middle schools structure their science programs). Both our programs were officially adopted by the California State Board of Education at their meeting in November 2018! 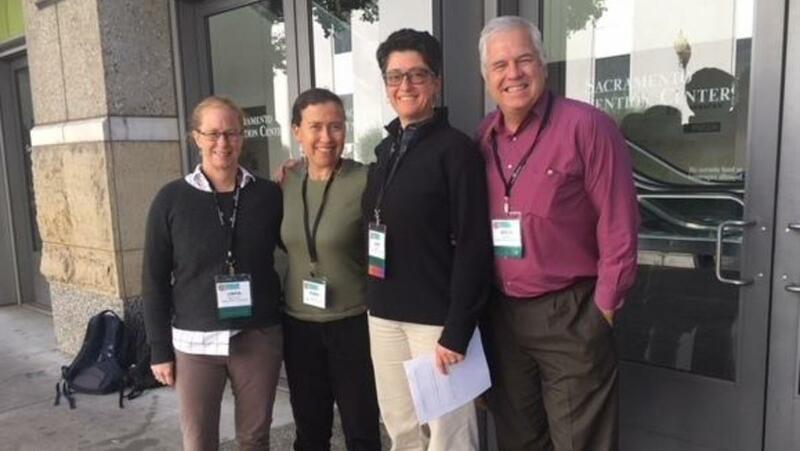 In Fall 2018 we attended 4 science education conferences (2 in California and 2 out of state) to meet our potential customers and present sessions to establish ourselves as a leader in middle school science education. In winter 2019, we have attended over 20 publisher fairs in California to meet with educators and decision-makers and promote our product. 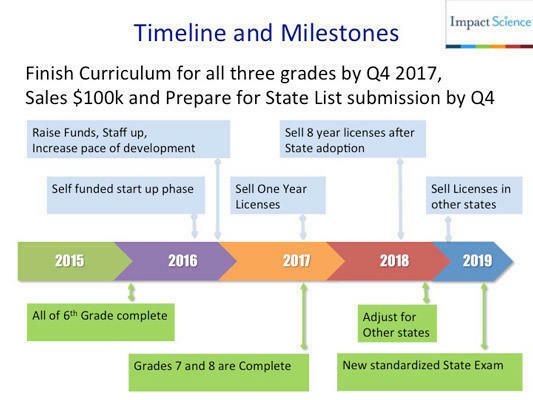 We are currently being considered in over 100 California districts, either as a curriculum to formally pilot next year, or for the purchase of a single-year or multi-year license. Next school year (2019-2020) promises to be an even bigger sales year as some districts are putting off the decision for another year so that they have more time to compare the available options. In 2021 and beyond, we plan to expand our market beyond California to the other states that have adopted the Next Generation Science Standards; so far this includes 18 states representing over 50% of the US school age population. Impact Science Education, Inc. was incorporated in the State of California in September 2015. 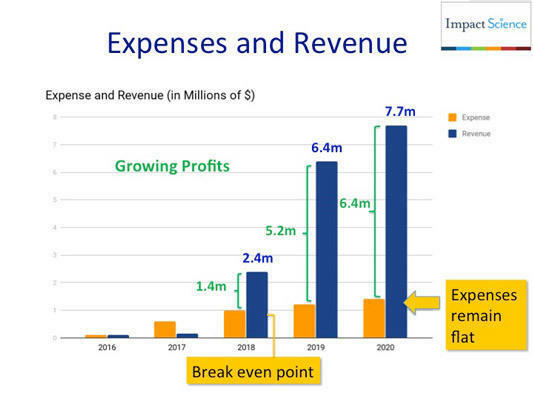 Revenues & Gross Margin. For the period ended December 31, 2018, the Company had revenues of $54,070 compared to the year ended December 31, 2017, when the Company had revenues of $0. Assets. As of December 31, 2018, the Company had total assets of $80,747, including $64,486 in cash. As of December 31, 2017, the Company had $213,321 in total assets, including $203,155 in cash because we had just brought in more investments and loans. Net Loss. The Company has had net losses of $420,202 and net losses of $198,737 for the fiscal years ended December 31, 2018 and December 31, 2017, respectively. This was when the bulk of our product development took place, which explains the net loss for that time period. Liabilities. The Company's liabilities totaled $703,628 for the fiscal year ended December 31, 2018 and $416,000 for the fiscal year ended December 31, 2017. The majority of these are SAFE notes which will convert to equity; the remainder of the liabilities are in the form of loans that need to be paid back. The lenders are mostly friends, family and the founders. To-date, the company has been financed with $411,000 in loans ($181,000 from the founders) and $541,250 in SAFEs, including our Wefunder raise of approximately $96,250. 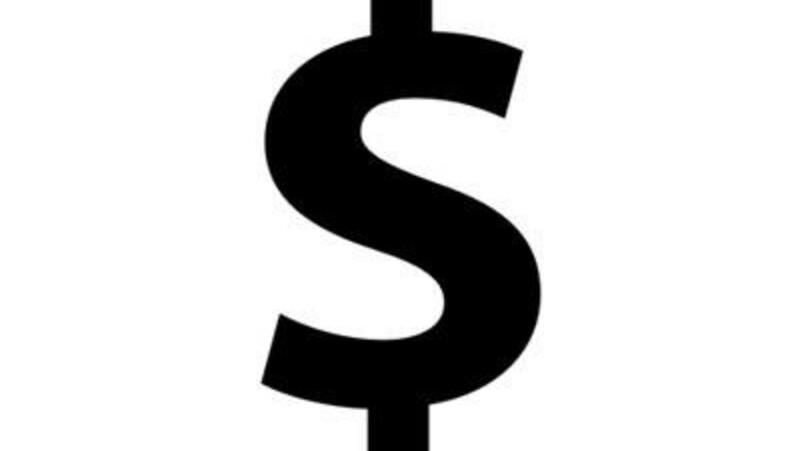 Impact Science Education, Inc. cash in hand is $185,384.74, as of April 2019. Over the last three months, revenues have averaged $85,000/month, cost of goods sold has averaged $0/month, and operational expenses have averaged $60,000/month, for an average net margin of $25,000 per month. Most of this revenue was actually additional loans and investments, not from earnings. Our intent is to be profitable in 12 months. At the end of 2018 our first sales season began. Since we sell primarily to school districts and they make their purchasing decisions in May or June, we have not finalized any sales yet this year. We expect revenue from sales in June/July for this year of $1M or more. This should be sufficient to cover cash flow until our next sales season, which is next January - April. If sales exceed $1M we will be able to start paying off some of our debt. Sales for next year (2019-2020) and the year after are looking very promising as the majority of districts are waiting another year before making a final decision for this adoption cycle. At that point we will be ready to expand to other states as well. 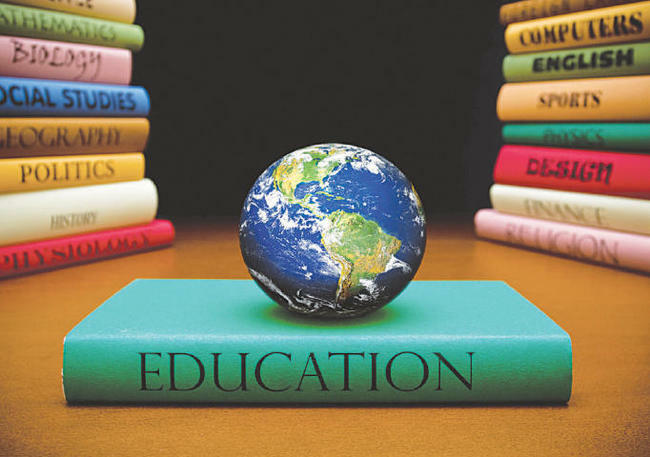 Textbook-based learning has been the mainstay of science education for the last 100 years. Administrators in certain districts may be hesitant to use a program that does not use a textbook, and some parents may want to see a textbook. However, we have spoken to dozens of school districts so far, and the majority have expressed a preference for a program that is NOT textbook-based. The Securities have numerous transfer restrictions and will likely be highly illiquid, with no secondary market on which to sell them. The Securities are not equity interests, have no ownership rights, have no rights to the Company’s assets or profits and have no voting rights or ability to direct the Company or its actions. If we are unable to raise all the capital necessary we will need to start out with a smaller sales force until we have enough revenue to hire a larger team. This will limit our revenue growth early on. This will directly impact the number and frequency of license sales. Robin Cooper is part-time. As such, it is likely that the company will not make the same progress as it would if that were not the case. $50,000 Hire one more part time product developer and one more assistant for the next few months, to complete the product in time for submission to the state of California for review. $800,000 Staff up in sales, marketing, and customer support. Increase marketing state-wide and build our sales and customer support teams. Middle school science teachers are more valuable than GOLD! Help us put the US back on top in the Sciences! Our young people are worth it! To our minimum, and beyond! I have been impressed with the thorough attention to student-centered learning in all of my work with both Ladie and Robin. They put student experience, and learning science through science, at the center of all of their decisions. Ladie and Robin bring solid work experience, passion, and a unique ability to provide tools to teachers that deeply engage students in science, technology, education, and math (STEM). 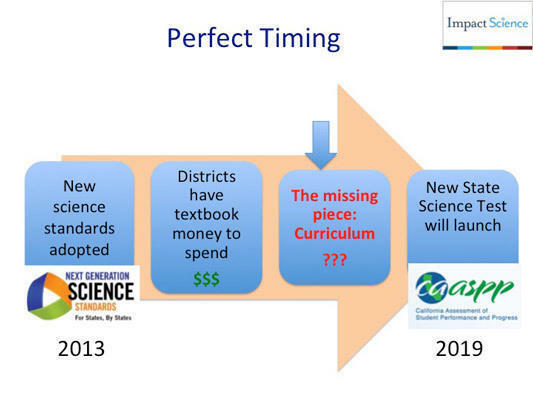 The timing is excellent, as new standards in this area are being adopted across the United States, with few options to school districts that are as robust and cost-effective as Impact Science Education’s solution. I have invested because I believe in their product and their ability to deliver. 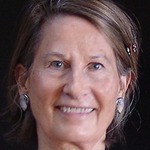 Ladie worked for many years as a Development Editor at my publishing company where she brought an engineer’s discipline to the task of creating innovative curriculum. Now retired, I’ve turned to helping the next generation of outstanding talent rise to the top ranks in my beloved profession. Ladie was an editor’s editor. She has the skill, drive and passion to be a publisher’s publisher. It’s a thrill to watch Impact Science grow in her capable hands. 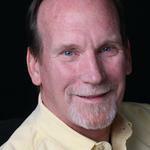 I'm Chris, a good friend of Doug Hamilton. Best of luck! So excited to see what you two are doing! Congrats and good luck! Hi Ladie and Robin - excited about what you're doing and about investing in it. My Mom was a middle school science teacher and I totally empathize with this problem. Best of luck in the coming months! Hi gang, Bryan and Ann here. Hope things are going well. Happy to contribute to our youth. Go team. I am a friend of Doug Hamilton's since 5th grade. I've believed in his infectious energy & insatiable desire since then. What he believes in, I feel compelled to believe in. And this feels like a winner. Hi, We're Bob and Nancy (Linda's parents). We're happy to join you on this journey and look forward to meeting you in person. We are very excited to be a part of your venture. We feel your business plan and product offering are very promising, and we anticipate you will have a great impact on the science education of this and future generations. Thanks for vouching for Ladie! If you'd like to invest in Ladie, please open an account. We'll waive your fees if you do it now. We asked Ladie for 10 personal references. Can you vouch for Ladie?